Treasury is all purpose Blogging blogger theme which can be used for all your blogs like travel, food, life, programming, everyday, fashion and everything you want to blog about. On top of this, great and friendly support makes your website setup experience completely smooth! 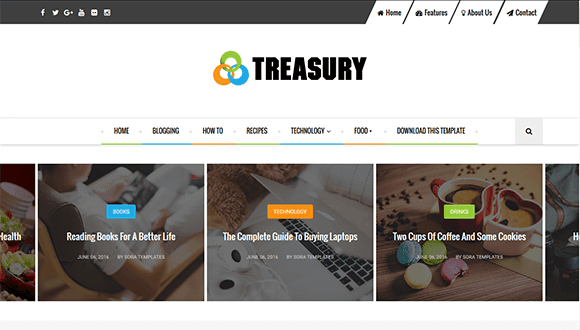 Treasury Magazine design is excellent for a news, newspaper, magazine, article and editorial publishing or review and rating site. It uses the best clean SEO practices, and on top of that, it’s fast, simple, and easy to use. FreshFood is a free blogger template with features such as 1 Sidebar, 2 Column, 3 Column footer, Adapted from WordPress, Breadcrumb, Elegant, Featured Section, Fixed width, Responsive, Fresh, Green, Header Banner, Magazine, Nature, Premium, Related Posts, Right Sidebar, Slider, Tabbed widget, Top Navigation Bar, Web 2.0, White. 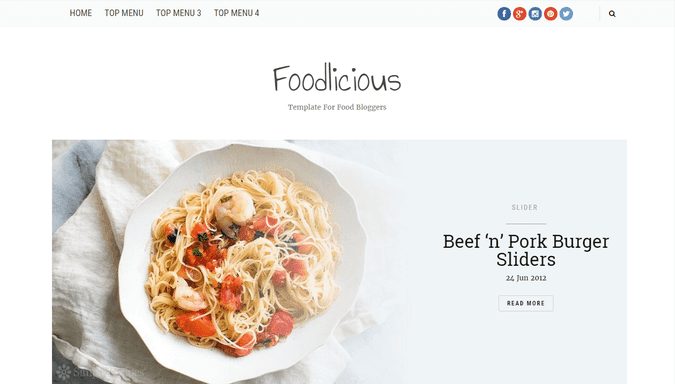 Food Mag is a fully responsive, feature rich and beautifully designed Blogger template for recipes related websites. 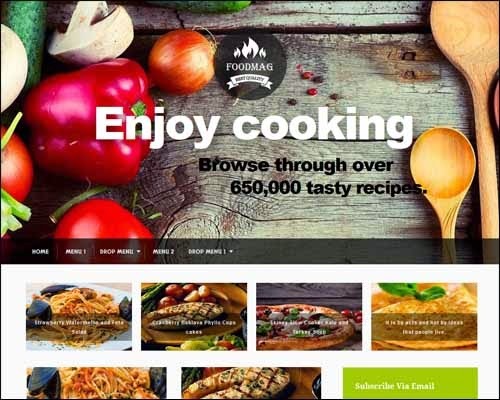 This theme is perfect for professional Chefs and Cooking Experts. Food Recipe Blogger template makes it very easy to share cooking knowledge with complete information.